I have really enjoyed these studies. I can believe it we are already on week 3. I love doing the homework, and it really helps me dig into the word. I was pretty stuck there for a while. My soul now thirst and hungers to study. I am so grateful for these online studies. Sativa, thank you for taking time to let me know how much you are enjoying the studies! It means so much to hear how God is using the study He laid on my heart to take you and the other women deeper still with Him! I just want to thank you from the bottom of my heart for ALL of the bible studies you have done. Like others have mentioned, I really benefit from looking the scripture verses up and writing them down. I haven’t commented much here but want you to know that I have struggled in my journey with making God’s word penetrate not just my intellectual being but my heart!!! 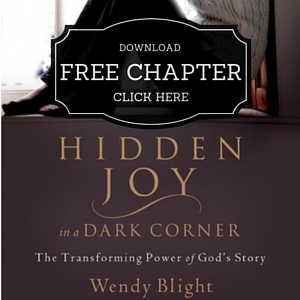 From your book Hidden Joy through these studies, you have helped me more than you can possibly imagine! Thank you for giving your time to women all over the world! This is indeed lovely. I am currently going through some financial difficulties that seem insurmountable but I was reminded this morning that my bill are not eternal but my God is. And now you remind me of his love and purpose which resonates with the good soil. I cannot be choked by the worries of this world. I am trusting God to hold on because his grace is sufficient for me and his strength has made me perfect in weakness. Kudos to all the good soil in the house. Lynn, praying Jehovah Jireh, God our Provider, will provide for you in ways you can never imagine a you seek to know Him more!! And thank you for reminding us of a very powerful truth…His grace IS sufficient for ALL our needs in EVERY circumstance and His strength is made perfect in our weakness. Wendy thank you for sharing that story again, a message I needed to hear! These words went right to my heart – “Then I started to question myself…this is what Satan does, but I knew in my heart He was speaking and thru His Word He would affirm.” This makes me think of the prayer I wrote and words God whispered last week about believing Him…I too have been questioning myself; grateful you shed some light on what was taking place. Friends, Satan doesn’t want any of us to believe God, but I pray as we sit at Jesus feet we will listen to the Voice of Truth and be ready to act, serve, speak and share when, where and how He leads us to. Amen!! He is waiting for us to come to Him and listen for His Voice so that He can direct our every step to wonderful plans He has for us!! 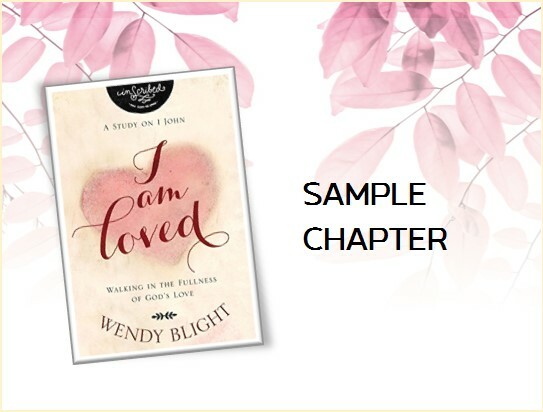 Wendy, thank you so much for this study, I love listening to your video messages, your voice is so soothing to listen to and I love your take on the stories in the Bible, it helps me to understand them better and puts me back in time to really get the picture of what took place. And the questions make me stop and examine my heart and life. I need to sit at the feet of Jesus more. I have my devotions every morning, but it seems like a ritual. I do not sit at His feet. I pray that I will learn how to shut out the distractions of this world and really focus and listen to the Lord and what He is trying to say to me. I want to know Him in the same way that Mary knew Him. I love the Lord and want to hear Him speaking to me. I ordered your book and am so excited to get it and read it. Thanks for signing it for me 🙂 God bless you!!! Janet, thank you for your kind, kind words. They are such an encouragement to me as I am writing my next Bible study. I went to the office yesterday to sign your book!! Thanks for buying it. Wendy I got your book in the mail today!!!! Can’t wait to find time to start reading it.!! !Thanks again for signing it for me!! God bless you! I am still being blessed by a verse you referenced in the first lesson. It was Zephaniah 3:17. God sings to me by putting songs in my heart. The first morning after reading the first lesson I realized that a song was rolling in my head. It was an old time hymn. I remembered one verse. The Lord had given me this song before but was not able to find it in any books. This time I turned to the internet and there it was, all seven verses and the music was playing in the background. The song is Praise to the Lord, the Almighty, the King of Creation. It was written in the 1600’s. When this happens I usually find a message in the song for me. I am so blessed to read the verse in Zephaniah confirming what I have experienced is indeed a blessing from the Lord. A gift to me. I will cherish that verse forever. Thank you for these lessons that have blessed me so. Glad you pulled my info up and sent me the announcement of this study. 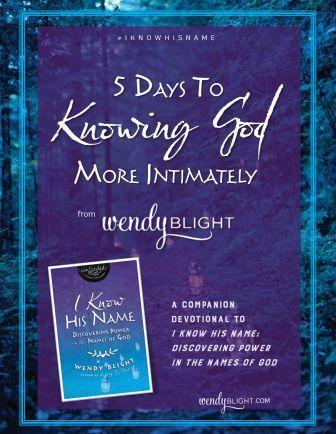 I praise God for you, Wendy. This is great – Thanks Janet!!! Thank you for sharing this song with us!! Wow! Music can minister to my heart in the most powerful ways. I had a similar experience the first time I read the Zephania verse. I could not imagine the God of the Universe could ever feel that way about me. What a gift!! Ladies, I need prayer. I don’t have a major catastrophe brewing, but I do feel like satan is targeting me. Ever since I started digging in and really trying to listen for God’s voice there have been a plethora of distractions and problems to handle. Just when God shows me that I need to make my morning quiet time more meaningful and to grow deeper with Him, and I try to make that effort, I backslide. I’ve been fighting so many stumbling blocks, all of them out of the blue. I can only attribute them to Stan’s craftiness, trying to prevent me from deepening my walk. Yet at the same time I can still sense God at work. He is still whispering in my ear, giving my little victories throughout the day, so I don’t doubt His presence. I am just struggling to keep my focus when I try to spend time in His word learning and preparing my heart. So please pray for me. I truly do want to grow deeper in intimacy with my Lord. I want to learn to sit at His feet and give him my utmost. I just need to overcome the setbacks that keep coming my way. Rachel, praying for God to help you carve out the BEST TIME FOR YOU to sit at His feet. If you struggle so much with mornings, I pray God will show you another time. Things will always come up, just try your very best to be consistent. And don’t let guilt sink in if you miss a day. Just pick right back up the next day. It is not about guilt and condemnation. It’s about creating a habit in the beginning that turns into a joy and delight as time passes. Rachel, I will be praying for you, I understand trying to “sit at the feet of Jesus” and all the distractions that start. I too believe that satan is trying so hard to distract us from God’s word. Thank you for your prayer and for helping me feel that I am not alone. I know that the distractions are cleverly designed to keep me from going deeper, and timed just when they can knock me off course. I praise Him for being faithful and for meeting me where I am and carrying me through this time as He has so many in the past. Rachel I am praying for you, all of us…though each of our journey’s our unique Satan’s desire to keep us from taking one step closer to Jesus is the same! You talk about needing to overcome, remember Jesus already has! I’ve been in this place before and the best advice I received: I have to make the choice to believe, to do the next right thing, even when it’s hard, when it hurts or makes no sense. Faith is like a muscle – the more we use it the stronger it will get. And finally expect the distractions and attacks to come…then prepare to battle them by putting on the armor! You are wise to share this and ask for prayer! Thank you Jill for such a powerful prayer. May God richly bless us as we sit at his feet. I want to encourage all that we have a God that is all powerful. Like in week two of the study, Jesus said that God will be glorified. The enemy is not more powerful than God, but in all these things we are more than conqueror through Christ Jesus. His temptations are not able to take us away from the love of God in Christ Jesus but to glorify God. Remember Jesus waited two days after Lazarus had died because God needed to be glorified in every situation. It is only in our testimonies that God will be glorified. The enemy will try what he may but he cannot succeed in our lives. I am more in interested in how God will be glorified than how the enemy thinks he can succeed. And I know God has already glorified himself in this bible study. Stay blest as we continue in his will. Love you all and may God richly bless you. Lynn, thank you for reminding us that we are MORE than conquerors though Jesus Christ Who love us!!! Such a powerful truth for us not only to remember but also to speak into our circumstances. Thank you for such a sweet prayer!!! What an encouragement for her. Thank you Lynn for the beautiful prayer…. Thank you so much for this prayer. And for the reminder that He has already overcome. Again I am always trying to take things on myself when I just need to learn to let go and claim the victory He has already won. Your reminder was just in time. 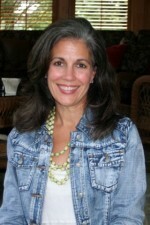 Wendy, I have been so excited with this study.. I’ve loved listening to your videos. Ive taken many notes and have answered my questions. Good study tool. I’m so grateful for the way you have brought this story to life for me. 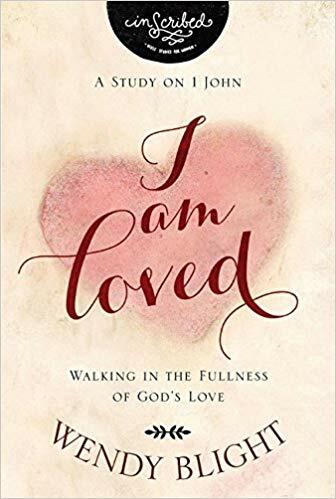 There are times I read, but don’t always see, or grasp things as fully and I should, thru this study I have understood how important it is to “sit at the feet of Jesus, daily” I have found myself searching scripture more, writing it down and keeping it where I can see it to memorize. I pray more and totally understand the “wait” time. I feel hungry for God’s word, truly find rest. I have been spending more and more time with Jesus and I love it. “I love being a Mary”…..Im looking forward for more studies. Thank You for this wonderful study!!! !, and thanks to all the sisters that have shared. I struggle with love. How do you truly love someone? Does my inability to trust someone and love them keep me from sitting at the feet of Jesus? I mean I read and pray and try to get close and hear His voice talking to me. Do I not hear His voice because I’m afraid to be like Mary? He is my Savior and I love Him but for so long I’ve been afraid to love with my whole heart. Linda, I have felt those exact emotions a lot in my life. In fact, I can still feel that way on any given day. You say that you read and pray and listen for His voice. To me, that sounds like you have a Mary heart who IS sitting at the feet of Jesus! Early in my marriage, I asked my husband why I couldn’t hear God’s voice. He relieved so many of my fears because I assumed all of the really “spiritual” people were hearing things that I wasn’t. He explained that God speaks through His Word. When we read scripture, sometimes words jump off the page because God is speaking that to YOU! There are also times when He puts a thought in Your mind. Assuming it’s consistent with the Bible, He’s speaking to YOU! 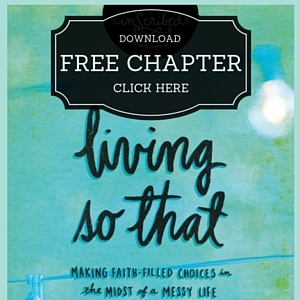 There are things we learn though the trials of our lives, or when God disciplines us. Those lessons are God speaking to YOU! 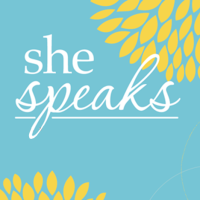 I also learned an amazing lesson from a speaker at She Speaks. She challenged us to pray, “God, give me an insatiable love for Jesus!” Certainly, that’s within God’s will, so we know He will answer that prayer in our lives. Thank You for Linda. Thank You for her heart, which truly seeks You, Your kingdom and Your righteousness above all. In her actions, she is loving You with all her heart, all her mind, all her soul and all her strength. But things get so confusing because we as humans want to feel the emotional high of love- a super spiritual high- when sometimes Your communication comes in more subtle ways. In her reading and in her prayer time, show her how You are personalizing Your love to her. Show her Father-daughter intimacy that she realizes is hers alone from You, Lord! Give her… and me… and everyone in our amazing “small” group… an unquenchable thirst and an unending desire for You Jesus! We love You and we lift our prayers in Jesus’ Name, Amen! Thank you so much for your words of encouragement and for your beautiful prayer. Your words have been an encouragement to me. Our Bible Study has been such a pleasure. I hate to see it come to an end. I love reading all the comments and getting to know my fellow Bible Study girls. I pray God’s Blessings on each and every one of you. I have really enjoyed this book study. Thank you so much for leading it. I had a thought on first reading 7b which I think I really supposed to be 7c – even if I don’t love God with all my heart, soul, mind, strength, He still will not fail me. But I was thinking when I should have been reading on…..
and that is just what He wants from us; our undivided attention allowing Him to minister to us right where we are, just when we need it. This morning I worked through the last question, question 7. It is uncanny how God is putting a message in my heart and revealing it to me personally, then I find that topic in the next question or portion of a question. As I worked though part a of the question about the types of soil and how they affected the heart I found myself relating to the different examples in different times in my life, then I read part b and saw that the next question was to examine which example I could most relate to. I can’t recall ever being the “footpath” soil, although I have known people who fit this type. I grew up always hearing the word as truth, but I knew those who never really heard or learned the Word. I see these people as those who have had little opportunity to get to know their Lord because the Word has been hidden from them or discredited by Satan before they have a chance to believe and be saved. However I can see myself falling into the other categories at different points in my life. For a while I was the “rock” example. I grew up hearing the word and accepting and believing it as truth. I didn’t doubt and I behaved like a “good christian girl.” However I never learned to go deeper, to truly develop a relationship with God. I lacked intimacy with Him and didn’t know more than a set of rules and a rote faith. So when college came and temptations and trials hit I wandered (or in the case of the parable I withered). As I moved into “adult” life and began to start a family I found myself back in church and essentially became the thorn patch soil. 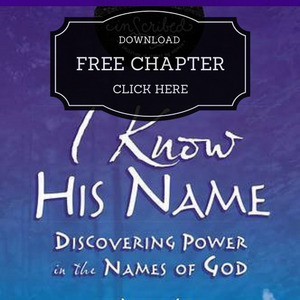 I knew and believed but I still lacked the personal intimate relationship with my Heavenly Father. My priorities were my life, work, family, finances. They took the center stage and they were the objects of my focus and my energies. So my faith was strangled by these things I gave priority to. None of them are bad things to care about, but because they were the priority in my heart they became idols and stood between me and intimacy with Jesus. Here I am years later, after falling to the deepest place, divorced, raising my two kids on a part time salary, with all of those idols stripped away, having been brought to a place where I had to acknowledge that the things I valued and worshipped could be gone in an instant. I pray that I can now become the fertile soil. God has done a huge work in my heart and I recognize the importance of constantly looking to Him and growing in intimacy with Him, but He isn’t finished yet. I still stumble and I still struggle with distractions. But I’ve come this far and I know that my God will carry me through. I didn’t read through the questions before I started working them, so I was again amazed at God working on me though this study as I read part c of this question and saw the challenge from Wendy to sit and examine what our distractions are and prayerfully commit to removing them. Just yesterday I asked for prayer because I feel I’ve been under attack with all sorts of distractions and stumbling blocks. I knew there were plenty of things that have been coming up and slowing me down. This question made me really dig in and write each of them out, to see them together and to hand the list over to Jesus, and as I wrote each one I could feel their pull on my mind relaxing. I know there will still be struggles, but it was freeing to lay them out down. God is good, and I praise Him for how He loves me and meets me just where I am. Just wanted to let y’all know…we are getting rain! And a lot of it! The Texas hill country has gotten 6 or 7 inches which is fantastic for the rivers that feed our land around here, and it is downpouring at our house too! I made it to work and looked like a drowned rat with soggy shoes but it is so worth it. THANK YOU JESUS!! And I thank all of you for your prayers for rain for us, I am so so so overfilled with joy right now…PRAISE THE LORD!!!! Oh y’all it’s so beautiful. So blessed beautiful!! Tears of happiness!!!! This is such good news, Beth! Thank you for the update, and Thank You, Jesus!! You’ve been in my heart and prayers, and I thought about you on this cold, rainy morning here in upstate NY as I was reading Job. “He does great things too marvelous to understand. He performs countless miracles. He gives rain for the earth and water for the fields.” Job 5:9-10. Bring on the rain!!! Thank you my sweet friend!! And thank you for sharing that verse, it’s perfect! I need to memorize and share it with the rest of our family! Love ya! Thank you for sharing Beth! Grateful God is providing! Last summer we were praying for rain in Iowa as well and now this spring we’re praying for things to dry up a bit…we have yet to plant a kernel of corn, so thankful for a husband who trusts God and is not getting stressed about this. As we “wait” to get into the field, I’ve thought about last week’s study and how even once we get the crop planted we still must wait for God to grow it. And those thoughts reminded me the same is true as we plant seeds spiritually!! God is the one in control! Pray He blesses the crop you put into the ground! And more importantly hearts! I have loved this study!! You are gifted to teach …especially this topic!! Thank you so much for sharing this with us!! I have begun to journal this study and my specific distractions that keep me from sitting at Jesus’ feet. I believe the Lord is showing me that Bible study was creating some of my anxiety because I had some preconceived ideas of what God wants me to say or pray instead of simply sitting at Jesus feet and opening my heart to him because I love him and he loves me!!! He doesn’t expect a “performance” from me…he wants an intimate relationship and even though I know that in my head… I still was feeling “less than” before Jesus. Lately, he has been reminding me how much he loves me and all his children!! God Bless all of you!! 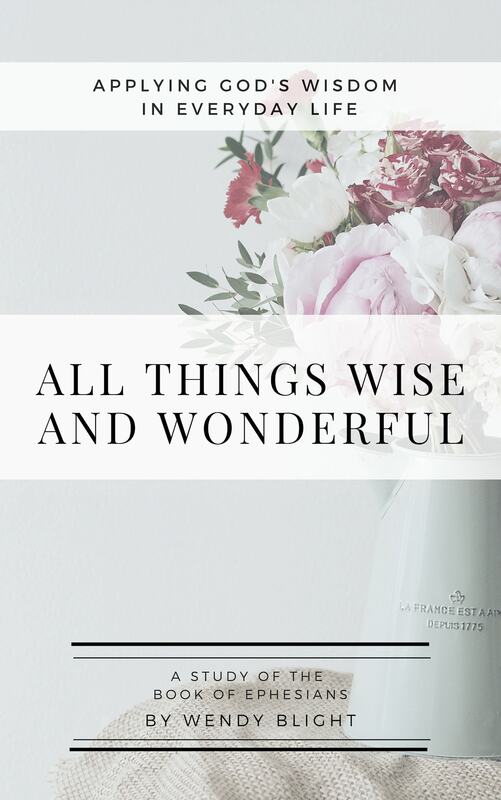 As I’ve read and meditated on this story I wondered, “Did Mary worry about what others would think?” I ask that question because all too often I do worry about just that…though I didn’t find the answer, I realized something more important – even if she did, she didn’t allow it to stop her from doing what was on her heart. God has a lesson for me there! I hadn’t really thought about why Mary was at Jesus feet, but as I attempted to answer question 4 I knew there could be endless reasons, but ultimately something or someone led her there. The important thing – she recognized it was a powerful place to be so she kept going back. She chose what was better. We could ask everyone here what brought us to Jesus, even to this study and have as many unique answers as there are people, but the important thing is we remember what happens when we sit at His feet and then continue to make the choice to sit there. Like Mary, I believe the more often we come the more eager we will be to come back. I came across your study and have totally absorbed it! I have shared so much with my husband and it has piqued his interest on so much! Could you recommend a “men’s” study that would be comparable? Thank you, thank you so much for giving us such meaty content and not just “feel good” – no actual bible digging effort material! It has truly been a privilege and honor to complete this study! MORE PLEASE! Thank you for this study. I have found it most helpful…esp the part about the wait. I work in a secular job and in this world so many places we are told not to pray or refer to the Bible. I must say that I worki with some really good Christians who have become so dear to me. They help me through some very hard ordeals. We go into the breakroom for lunch and it doesn’t matter who is there we say the blessing on the food. No one has said anything to us about doing that and many of the people that come in there will even quit talking while we are blessing our food. So many of the people put quotes by famous people on their emails. I get emails with quotes from the No Hate Group, Dalia Lama, just all kinds of people. I felt that if I put a quote with a Bible reference they would tell me to remove it so I sort of found a way around that. My quote simply says “I am the way, the truth and the light” Jesus. So far no complaints. I have had a few people tell me they like my quote. I was working through this week’s homework over the weekend, and wanted to share my response to 7b. I’ve appreciated how open some of you have been regarding this one. I consider my heart the thorny patch. I’ve been a believer for many years, but I feel like I’m still just a child in my faith. I tend to experience growth and intimacy with the Lord during times of pain and discomfort, and then quickly regress once life is comfortable again. It’s obvious to me now that this pattern has kept me from growing into spiritual maturity; and I feel God convicting my heart that it’s time for another way. I know He wants so much more for me. I don’t want to be a child for the rest of my life. And I don’t want pain to be the only mechanism by which He is able to achieve change in me and in my life. When I think about the relational qualities I desire with the people in my life, I realize that I’ve never sought the same in my relationship with God. Now, more than ever, I want a relationship with my Father that is strong, and deep, and built on trust. I want this with all my heart. Regarding homework topic #5, I did write a little note to God, but instead of sharing it, I want to share this beautiful song I came across by the truly talented band Needtobreathe. It’s a love song to God of sorts. Lastly, I just want to say how much I have treasured this time with everyone. You have helped make what could have been a terrible time in my life a time filled with love and hope and truth. If I had a magic mirror like the one the woman had on Romper Room back in the day (I’m dating myself, I know), I’d say, “I see Beth, and Noelle, and Olayinka, and Linda D” and on and on. But my heart sees you all and is so grateful to God for you. Your thoughts echo mine. I so feel like a child in my faith on a regular basis. I have been a christian all my life yet I feel like as far as my faith goes, I am still a baby. I got baby faith. 🙁 I feel like I should be more controlled, know more scripture, be spouting off verses that I have memorized when a situation calls for a pearl of God’s wisdom, and just be more of a solid rock christian woman. I get frustrated with myself, because I feel like I have wasted so much time when I could have been maturing. Never a better time to start though like the present, and I feel this study has helped me at least get the ball rolling. And really, I want to facepalm myself because it’s not hard, it’s simple as spending time with the Lord. Nothing complicated! Currently, my heart represents the good soil and I give glory to God. It used to be the foot path, rocky ground or thorny patch! Through recent trials and tribulations I am weathering, the Lord through the power of the Holy Spirit has taught me to let go and let God. I have put God and His Word first. I have learned the gift of “patience”. Acting is easy, but waiting is tough, and that is what “patience” is all about – WAITING!!! The blessings abounds in “patience”, which gives birth to maturity, hence, separating us from the things and cares of this world! Amen. To go with this the Holy Spirit laid on my heart to meditate on the words of Psalms 27:14, 37:4-5 and 37:7. I thank God, because once again He has given to me what I cannot give to HIM, in Jesus’ name. Amen. God richly bless you and your ministry. I look forward to further studying with you! You rock my world and in a very good way. There is no one perfect especially when it comes to siting at the feet of Jesus. We all take one day at a time and that’s what does it. Thank you so much for your honesty because it is when we confess our sins one to another that we are healed. And yet still the Lord reveals to redeem. Don’t feel condemned instead be encouraged that we all go through our moments, they might be different but they are challenging. Enjoy the moment, the day and the time you have with him because it is those moments that makes a lot of difference in our lives. Amy, I am so happy you see me too. I have been enjoying the studies…i have setting aside 1 lunch hour each week to listen to the message, and write whatever comes to mind and then later on in the next few days, I go over questions I left blank and do my best to answer them….sometimes, not only finding a quiet place but a a notch of time (aside from my morning devotions) is challenging…God Bless you WEndy and all of us as we seek Your face LOrd Jesus in this crazy and dark world!!!! Hello friends, I just spent some time sitting at the feet of Jesus and lifting prayers for my G’ma. She’s battling cancer and after a couple of good months, she ended up in the hospital on Sunday struggling to breath. She’s on oxygen, has had her lung tapped twice and they’ve found the tumor has grown extensively. Please pray for her comfort and salvation and that God would make a way for me to talk with her. Thank you my friends…praying for you as well. Thru this study God’s led me on a side study of BELIEVE. Leading me to not just read His Word, but really believe, claim and live it…today He led me to Psalm 112:7, “He will not fear bad news; his heart is confident, trusting in the Lord.” I encourage you to keep sitting with Him, He knows just what we need and is faithful to provide it. Total side note…how’s the baseball team doing? Praying for your coach as well! My takeaways from this week’s lessons are: don’t worry what others think, but only what our Lord thinks; be extravagant in your gratitude and thanksgiving, Jesus was extravagant in His gift to us! ; and regarding my heart as soil, I need to persevere in my focus and ministry to others. I can’t let the world choke me from receiving God’s nourishment. The best way to be fed is through time at Jesus’ feet, humbly listening, learning, and praising. 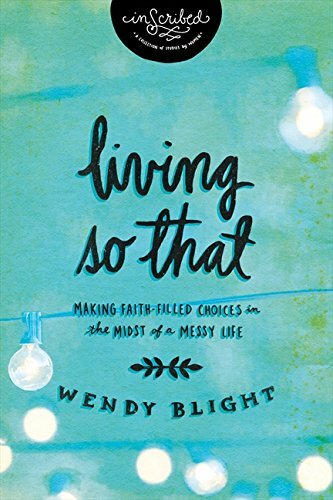 Thank you Wendy for reminding us of these truths! Thank you for this Wendy, especially the closing thoughts. Every single scenario you mentioned relates to me and reminds me I need to make it a point to sit at His feet on a regular basis. I plan on starting a gratitude journal along with my continuous bible study. 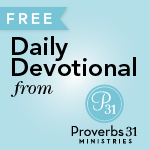 The distractions I asked God to remove were anxieties, worries, fears, doubts, and lack of trust. I pray that this will allow me to truly cultivate an even deeper and more loving relationship with Jesus. I’m just starting week three today because I was finishing g another study and couldn’t keep up with both but during that time I was able to share this study with my best friend who is in California a d I’m in Texas. She is enjoying it also! Thanks for being real with us, I love listening to you talk about God and things.